coloring | One of Manila's Best Hair Salon for Balayage, Ombre, Rebond, Cut & Color. 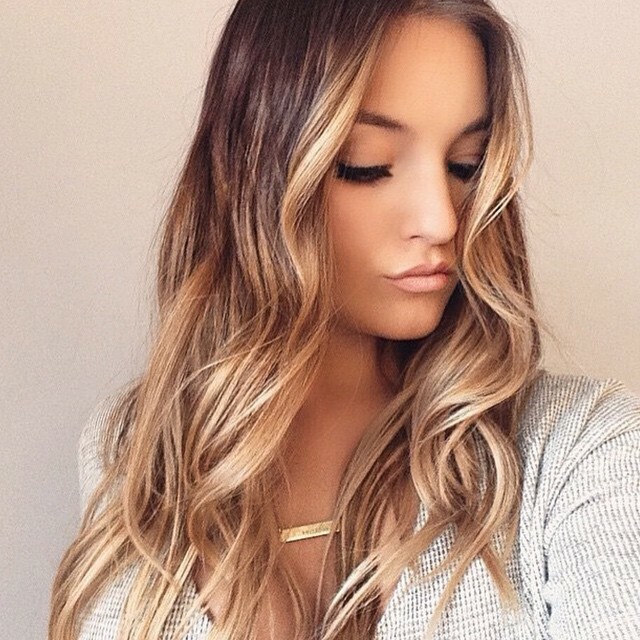 Ombre and balayage are some hair color terms that are getting tossed around a lot right now. While ombre hair coloring is generally concentrated on the lower half of your hair, balayage involves adding chunks of color into your hair vertically and is painted on. Both techniques are popular, but the question is, are they are for you? These are some signs you can pull them off. Both of these hair coloring methods are different to your basic color and highlight. It’s important to note that ombre is generally a more dramatic look than balayage, but both are unique styles in their own right. One sign that ombre or balayage is for you is that you’re ready for a change. You’ve had the same hairstyle forever and you’re done with it. You know that changing it up is exactly what you need. 1. Will coloring make my hair fall out? The answer is an emphatic “NO.” There is no scientific evidence that hair coloring causes extra hair loss, and there is no physiological reason why it should do so. During my many years of practice in my London and New York clinics, I have never been able to associate hair loss with coloring. I did an eight-month study involving 30 women and three men, who all underwent various types of hair coloring, and none showed signs of extra hair loss. A bad color job, however, can cause hair breakage, which may be confused with extra hair loss. 2. Will coloring make my hair thinner? The answer again is “No.” So many women (and men for that matter) come to me with thinned hair and blame it on the color: “It’s only since I started coloring that I have noticed my hair is thinner,” they say. This is coincidental; many women start coloring when their hair is turning gray, or when the color is not as vibrant. They are often at the age, unfortunately, when the hair can begin to thin for other reasons, but they blame it on the coloring. Or, they start coloring their hair at a young age and notice the hair is thinner when they are in their 30s and 40s, again blaming coloring. But it would have thinned anyway. 3. Coloring my hair makes it dry; what can I do? Coloring can dry the hair — permanent color and bleach in particular. While semi-permanent color doesn’t dry it out as much as permanent, repeated use can cause dry ends. Always use a moisture-balancing or remoisturizing shampoo and conditioner, and a deep, remoisturizing hair mask once or twice a week depending on the dryness. Always apply a leave-in conditioning cream (non-greasy) before blow-drying. And remember not to over-dry or over-brush. Daily shampooing and conditioning will not dry your hair providing you choose the correct products. 4. What should I look for in a hair color product? Choose your color from the packet or swatch on display. Colors may change according to fashion, but the basic chemistry of coloring agents has not changed much over the years. They all have similar ingredients, so there’s no point reading the label. However, the best person to advise you is your hairdresser, and the best place to have hair color done is in a salon. 5. Should I choose permanent or semi-permanent color? In the long term, permanent hair color is best, which may surprise you when you take into account the extra peroxide and ammonia it might contain. The reason is that permanent color should only be applied to the new hair growth at the roots, briefly overlapping with the previously dyed hair. Semi-permanent color, on the other hand, is applied to the whole head each time, because of the more rapid fading. This results in repeated full-head applications, so the ends finish up darker than the roots. If, for example, your hair is an average 10 inches long, the ends of your hair, at half an inch a month growth, would be 20 months old. Therefore, a monthly, semi-permanent color treatment means that the ends of the hair would have suffered 20 applications! 6. Is it safe to have my hair colored during pregnancy? Yes. All women want to look their best when they’re pregnant, and whatbetter way to boost morale than to have your hair the way you want? 7. Can hair colorants cause cancer? There are recurring scares about hair colorings causing bladdercancer. The first was about 25 years ago and the latest in 2002. Therewere some studies that indicated a link, but none could besubstantiated on humans. Each study was similar: The hair of mice wasshaved daily and hair color was applied to their skin. After threemonths (100 applications), most of the mice had bladder cancer. I thinkit is unreasonable to base a link on this method of testing as dailyapplications on shaved skin would seriously affect absorption rates.Evidence that hair coloring is safe has been demonstrated in two majorstudies by the American Cancer Society and Harvard University. The verdict? “The overall evidence excluded any appreciable andmeasurable risk of bladder cancer from personal use of hair dye.” So,would I let my family use it? Absolutely. 8. Is using a hair color likely to give me a rash? There is a possibility, but not if you go about it correctly.All hair dye packaging recommends carrying out a skin patch test beforeusing a colorant. Apply the color to an area the size of a quarter, behind an earor inner elbow. If, after 24 hours, there is no irritation, discomfortor redness, it is safe to color without risk of a rash or reaction.When you read about people suffering severe allergic reactions, it ismost likely that the patch-test warnings have been ignored in thesecases. As it is estimated that only one in 250,000 people may besensitive to hair color, it is not surprising that the patch test isoften ignored. But, take heed, you may be that one in 250,000. 9. Can hair coloring give me a dry and itchy scalp? Many women have existing flaky and itchy scalp conditions and blame their hair color. In my answer to question one, I mentioned aneight-month study I conducted to establish that hair coloring does notcause thinning or hair loss. Many of the people I was going to pick forthe study already had scalp problems flaking, itching or tenderness, soI was reluctant to include them because of the possibility ofaggravating the condition. Of those I did include, though, all hadimproved scalps after coloring their hair! This was probably due to theantiseptic effect of the peroxide. While I am not suggesting that haircolor can be used to improve a scalp condition, these results certainlyindicate a good, rather than a bad, reaction if you have a flaky scalp.However, coloring should definitely be avoided on scratched or veryirritated skin conditions. 10. I don’t want to use peroxide or ammonia. What else can I use to color my hair? The obvious coloring agents to use in this case would bevegetable colors such as henna or camomile. These have manydisadvantages, though: The colors they produce are not natural-lookingand they fade very quickly, leading to more frequent applications,unnatural colors and, ultimately, drier, brittle hair. Also, in asimilar way to semi-permanent colors, there is a continual overlap inapplication, leading to an unnatural appearance — particularly on theends. To obtain natural-looking hair color, peroxide and ammonia areneeded, as without these ingredients your color will not take as well,look as good, or last as long. There are specific reasons for theirinclusion that involve complicated hair and ingredient chemistry. Provided you take sufficient care before, during and after thedying process, there is no reason why you shouldn’t have the best ofall worlds: beautiful, long-lasting color and well-conditioned hair.